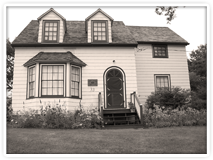 Located at the corner of Nova Scotia's most famous intersection, Fultz House Museum's collections reflect over 200 years of Sackville history. Constructed in the 1860s, Bennett Fultz's house is now home to hundreds of artifacts, photographs, and displays. 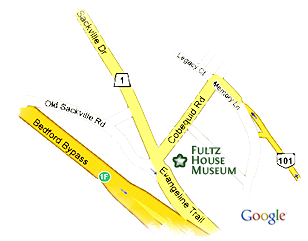 Come discover Sackville's proud history for yourself! Fultz House Museum is located at the intersection between Old Sackville Road, Sackville Drive and Cobequid Road in Lower Sackville, Nova Scotia. Fultz House does not charge admission, although donations are always welcome! Some artifacts are viewable online through Nova Muse.